This 1958 release is a very early example of a King stereo LP, with a blue stereo label that features a small crownless logo, and bright orange sticker applied to the front of the generic mono jacket. The disk is pressed on styrene, and there is an occasional bit of distortion, but overall this slab sounds quite good for it's age. Hopefully it makes for the swinging Sunday listening! I have been a long time fan of Lonesome Lefty's Scratchy Attic and The Great Canadian Fiddle, the thing that spoils it is whwn you go to download music, you are directed to a site where you have to put up with annoying ads and pop ups, and recently the anti-virius program has I have on my computer has warned me of malware when ever I try to download anything. Couldn't you find another less annoying site for people to download from. Many thanks - This album really swings. 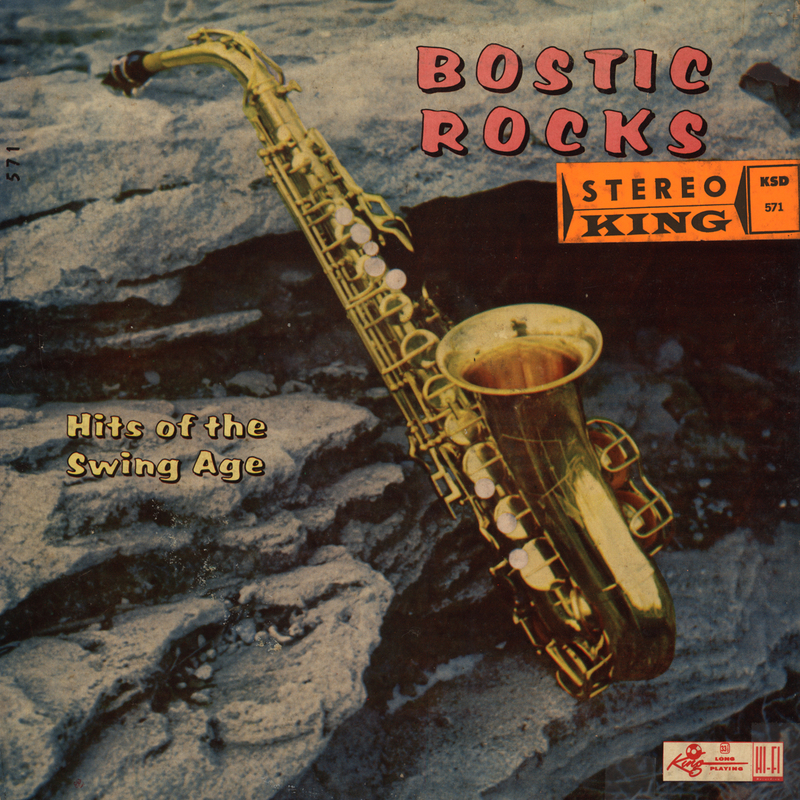 I've always loved Earl Bostic's records. Great mellow jazz/R&B. Lou Donaldson (a great technician on the instrument himself)'s comments about Bostic are interesting. A shame we never heard that "other" side of Bostic which Lou discusses. Love your blog. Keep up the fine work. Gerçekten çok güzel bir paylaşım teşekkürler admin. I also love the music of this time. Amazing tunes and wonderful musicians. Many thanks to you for these publications. I recommend becoming a regular reader of this blog. Be sure to list my blog in the list of your favorite blogs! I like what you shared in the article, thank you for that, it has given me more experience. I would like to share with you some interesting things, if you have free time and want to find a tool for fun read it now.đọc truyện tình yêu tuổi học trò full Read and ponder the good quotes of life below, you will surely draw in life's own deep lessonsquote about meeting someone specialOr you can go and search for the most fun games to play liketải game nối hoa nở. Surely what I'm introducing to you will not disappoint you. Please click and experience. Having fun. Very nice blog, thanks for this post and I have some special things for you. If you are finding something to relax, teens games for girls; free kids games for girls will be my best recommendation for you. Let’s play and get more deep relaxation! Beside, you can try cool math tube master. Now, you can completely play this addicting fun game on your mobile. Have fun!!! !